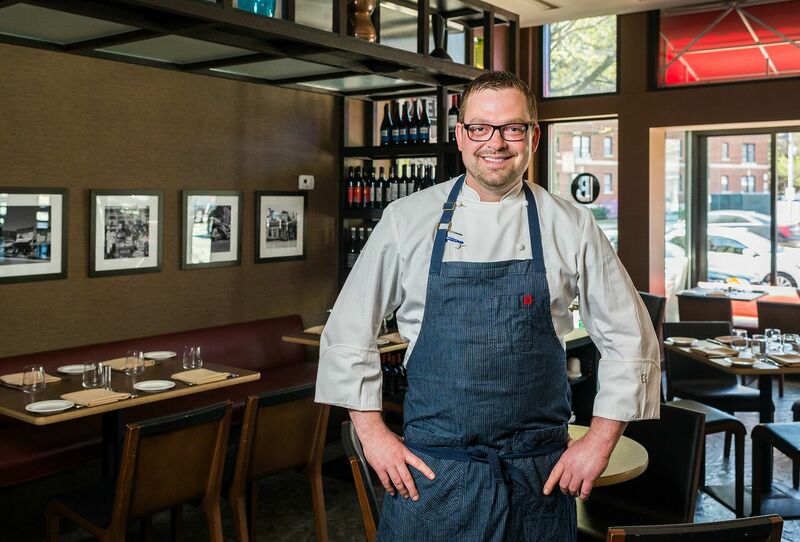 Award-winning restaurateur Ashok Bajaj is pleased announce Kelly Bunkers as the new executive chef of Ardeo+Bardeo, located within the Cleveland Park neighborhood of Washington, DC at 3311 Connecticut Avenue, NW. Bunkers honed his skills in the kitchen working under culinary luminaries including Joël Robuchon, Royden Ellamar and Stephen Starr. Kelly Bunkers’ restaurant career path began at age 16, while working as a food runner and later line cook at a restaurant and casino in Council Bluffs, Iowa. He garnered more experience working at two local French restaurants while earning his associates degree in 2000, in culinary arts and restaurant management at Iowa Western Community College. Following graduation, Bunkers accepted a position as executive chef of the French Café in Omaha, Nebraska. Then in 2006, he made the decision to relocate to Las Vegas, Nevada in order to sharpen his cooking skills, and uncover the culinary expertise the city had to offer. Shortly after his arrival, he accepted a position as chef de partie of L’Atelier De Joël Robuchon, a French restaurant within the MGM Grand, where he served from 2006 to 2008. Bunkers was a member of the culinary team in 2008 when Robuchon captured his Michelin one-star status. After two years at this notable restaurant, Bunkers accepted a position as master cook at Sensi within the Bellagio Resort & Casino. Here he learned about creative Asian-Italian cuisine under the direction of Martin Heierling & Roy Ellamar. Then in 2009, Bunkers next accepted a position to serve as sous chef of the all-suite, five-star Vdara Hotel & Spa. Here, he was responsible for developing, testing and implementing recipes and menus for banquets, in-room dining, and the Market Café. 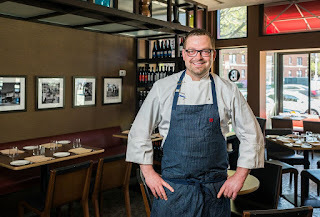 In 2013, after nine years in Las Vegas, Bunkers relocated to Washington, DC to work at Le Diplomate, where he most recently served as executive sous chef for Stephen Starr before accepting his new role at Ardeo+Bardeo. Conveniently located just four miles north of the White House in Cleveland Park, Ardeo+Bardeo at 3311 Connecticut Avenue, NW, Washington, DC, 20008 is close to the National Zoo, situated in one of the loveliest neighborhoods in Washington. Dinner is served Sunday and Monday, from 5 PM to 10 PM; Tuesday through Thursday, from 5 PM to 10:30 PM; Friday and Saturday, from 5 PM to 11:30 PM. Brunch is served Saturday and Sunday, from 11 AM to 3 PM. Valet parking is available for $8 and the restaurant is one block from Cleveland Park Metro Stop accessible on the Red Line. For reservations at Ardeo+Bardeo please call (202) 244-6750 or visit www.ardeorestaurant.com.